Thank you for your feed back. You booked a reservation with us for the River Terrace and one of the requirement's the is you must have a major credit card in order in order to receive the promotional package price. All our of promotional packages are up to 70% off because the sponsoring resort is subsidizing the cost of the room in exchange for you meeting their eligibility requirements which differ for every special hotel offer. 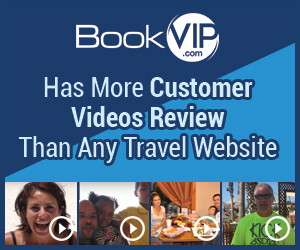 Unfortunately, BookVIP does not set the qualifications. However, we do list the Term & Conditions at the bottom of every hotel offer on the web site and go over them electronically with every customer. Additionally, we are contacting you as there are different travel options available. Review #847339 is a subjective opinion of Samcool4.